This elegant crystal wedge award is available in both 8 and 9 inch sizes. Design work and custom laser engraving are included. 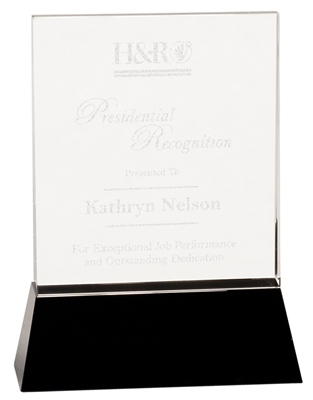 Crystal Tower with Pedestal Glass Crescent Plaque Rectangular Glass Plaque Floating Acrylic Plaque - 8x10"